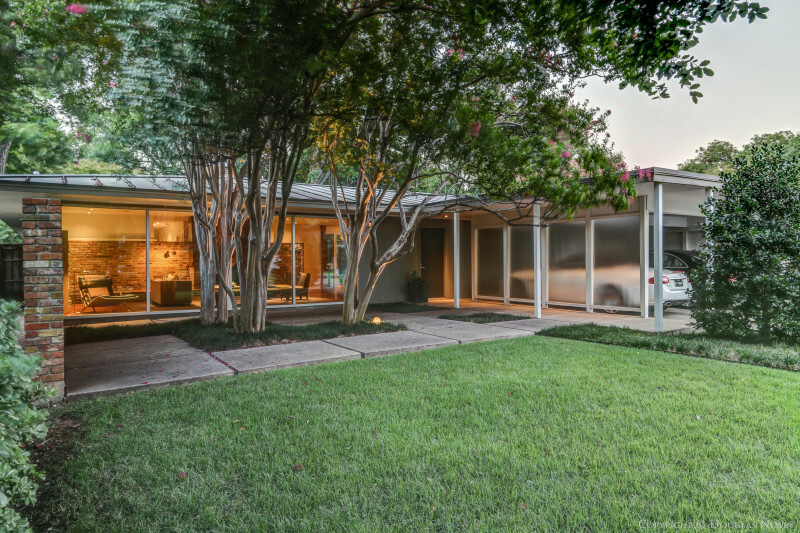 The greenbelt wraps around this mid-century modern home designed by architects Bill Hidell and Howard Decker, proteges of George Dahl and Howard Meyer respectively. The 3,850 original square feet reflect coherent volumes and design. The floor plan is open with walls of windows and glazed openings exploiting the secluded green vistas. 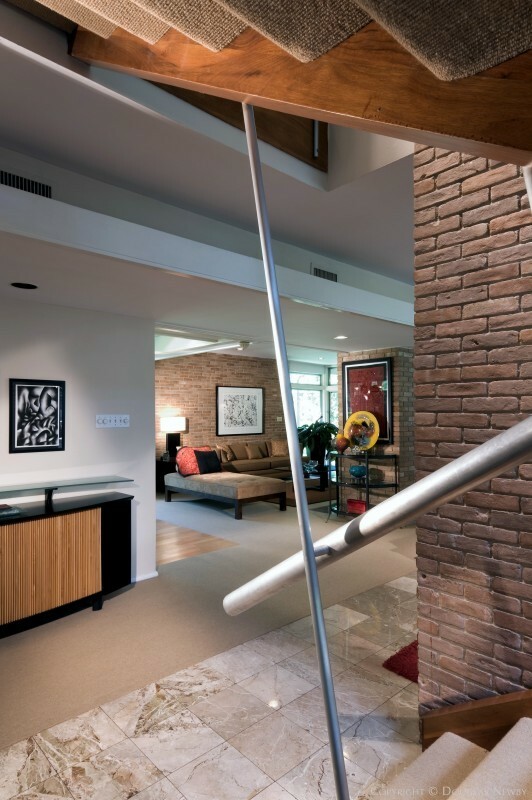 The open tread staircase is juxtaposed with a brick wall, steel struts and railing, and soaring glass. The extensive renovation celebrates the style and setting of this architect designed home.